Being a client-centric organization, we make sure to come up with the range of defect-free Color Sorter Machines & Components and Air Compressors & Tanks for our customers. We understand the clients' varied preferences & demands and make sure to procure the products accordingly from some of the reliable vendors of the industry. The products offered by us assure high efficiency and durability at the clients' end, thus, help us in attaining maximum level of client satisfaction. 20-40% of the entire range of products is exported to Indian Subcontinent and East Asia. We also make sure to deliver the ordered consignments at the customers' premises via air, cargo, road and sea. Moreover, we have come up with the policies and strategies that favor our clients and are for their benefits. We always try to gain as well as maintain the trust of the clientele. 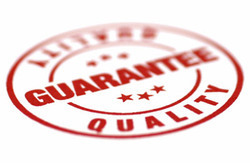 Our quality policy is devised to guarantee that our products are produced fairly and adhere to the strict procurement and delivery practices. Dwelling the stringent rules and statutes, we are responsible for obtaining the best-suited inventory of raw material. Moreover, our business viewpoint and desirable working circumstances are inspected via a series of inspections and audits to verify the depth of the finished machinery.